Will WiFi get killed by 5G? 5G is getting marketed by vendors and service providers, as if, it is the next thing which is important for the humans and the society after food, water and shelter. 5G deployments have just started across the globe - however, there is a lot of debates around 5G. One such debate around 5G "If 5G is expected to be ubiquitous, will WiFi then get killed by 5G?" 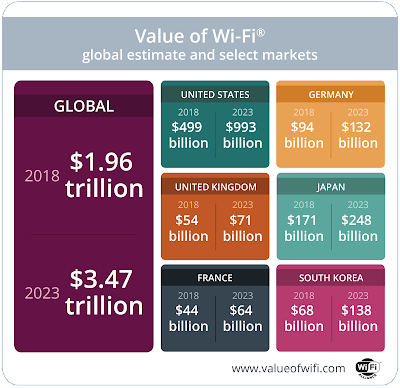 WiFi is a growing industry: According to a study commissioned by WiFi Alliance®, the economic value provided by Wi-Fi is nearly $2 trillion in 2018, and is expected to grow to almost $3.5 trillion by 2023. This valuation is equivalent of the combined valuation of the two large companies in the world Apple and Amazon. So, WiFi is not shrinking and continuing to be a growing industry. Cost of Deployment: WiFi technology uses "unlicensed spectrum" (2.4Ghz or 5 Ghz) vs. 5G which uses "licensed spectrum". 5G spectrum is going to be costly because of the need for the broad range of spectrum, to support speed as well as coverage. Service providers would have to cough several billions of dollars to get the 5G spectrum. So, WiFi will be lot more cheaper when compared to 5G. Speed and Customer Experience: 5G speeds are going to be significantly higher (1 Gbps+), when compared to 4G (40 - 600 Mbps). However, it cannot still beat the great speeds offered by WiFi. The theoretical maximum speed of 802.11ac, the latest WiFi standard, is roughly 7 Gbps. In real world situations, you may see somewhere around 1.7 Gbps and 2.5 Gbps, with 802.11ac WiFi. An 802.11ac WiFi router, connected to a Fiber network may offer a higher speed, when compared to 5G network. Devices Support: WiFi is supported today by most devices that connect to Internet. Moreover, there are some devices (such as iPods and Chromecast) that connect only to the WiFi network. These devices aren't going to vanish overnight from the world. It is going to take at least a decade to slowly phase out these WiFi only devices. Where would 5G replace WiFi? Enterprises can afford to buy a 5G small cell device (small cell tower) and deploy it in house to offer 5G coverage to its employees, slowly replacing WiFi with 5G. Service providers can themselves deploy 5G in Enterprises for cell densification and Enterprises can reuse that infrastructure to avail Private Wireless network services. Service Providers can carve out a 5G network slice for the Enterprise related services. Today, WiFi networks are deployed and managed separately by the IT administrators in Enterprises. Reusing 5G infrastructure, instead of corporate WiFi would reduce the administrative overhead for the Enterprises. Today, WiFi provides more security for Enterprises as they have complete control over what is going on over their private WiFi network. 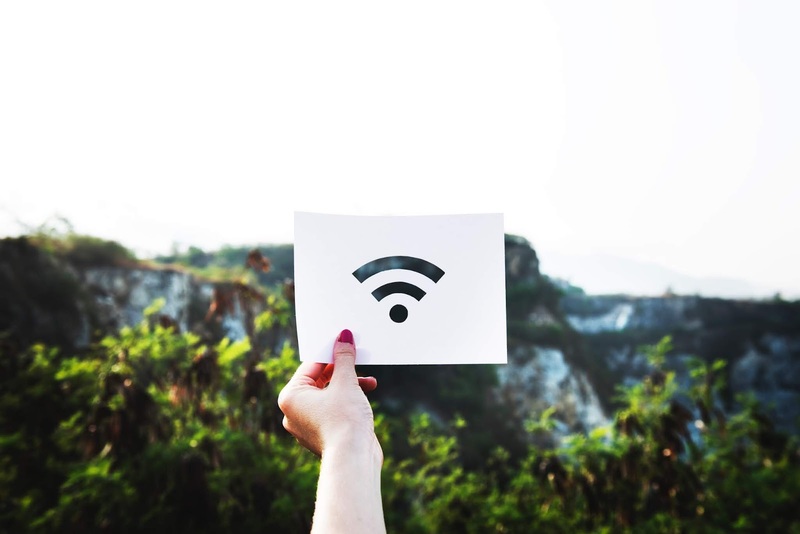 With 5G, because of the Service Based Architecture (SBA), Enterprises can manage their 5G based Private Wireless Network, through APIs - providing the same levels of controls they had on their WiFi network. Because of the evolution of the WiFi standards, Enterprises have to continuously upgrade their WiFi gear, once every 3 - 5 years. With 5G, that overhead can be outsourced to the Service Providers. Service Providers will take care of upgrading their wireless infrastructure periodically. The desk phones providing VOIP services can potentially vanish with Enterprises rolling out 5G based Private Wireless Network. Each employee becomes accessible through their wireless mobile phones, wherever they are - instead of having to be glued to their desks. Where would 5G complement WiFi? 5G can complement WiFi, in some use cases. For example, in Enhanced Mobile Broadband (eMBB) use cases, the customer premise equipment (CPE) can connect to the 5G network for Internet connectivity and can locally offer connectivity services through WiFi. Considering the huge bandwidth offered by 5G (1 Gbps), it can potentially serve a large number of WiFi users or WiFi enabled devices. 5G may increase the penetration of eMBB in public places and residential communities. 5G can complement WiFi in Fixed Wireless use cases (such as the 5G Home service launched by Verizon, recently). 5G would eliminate the need for service providers to dig the lawns of their customers to provide broadband services. With 5G, service providers can reduce the cost of their dispatch operations and enable customers to activate their Internet connectivity services through self-serve mechanisms. There are still a lot of misconceptions and debates going around 5G. The battle between 5G and WiFi isn't going to be like the battle between the David and Goliath. It is going to be a symbiotic relationship like the relationship between the remoras and the sharks in the ocean. Both the technologies 5G and WiFi are going to thrive together for a long time to come.